Azonic Automation & System Technology Sdn Bhd is Hiring!! 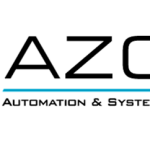 Azonic Automation & System Technology Sdn Bhd is a fast paced growing company specializing in trading and distribution of industrial related products. Our company deals with global and established brands thus creating an environment that promotes exposures to an international platform. Provide technical support to the sales team for any related request, inquiry, quotation or confirmation. Assist in correspondence with the customer by email and following up the order status. Update customer on the ETA (Estimated Time of Arrival) and prompt follow up to ensure the stock will be delivered to the customer on time. Communicate and follow up with the sales team to achieve monthly sales and collection target. Candidates must possess at least SPM level. Aptitude for acquiring technical skills and eagerness to learn. *Interested applicants please send your RESUME to azonicpg@gmail.com or call Ms. Tan at 04-641 6004 for more info. Next article2,786 Jobs in Penang! !